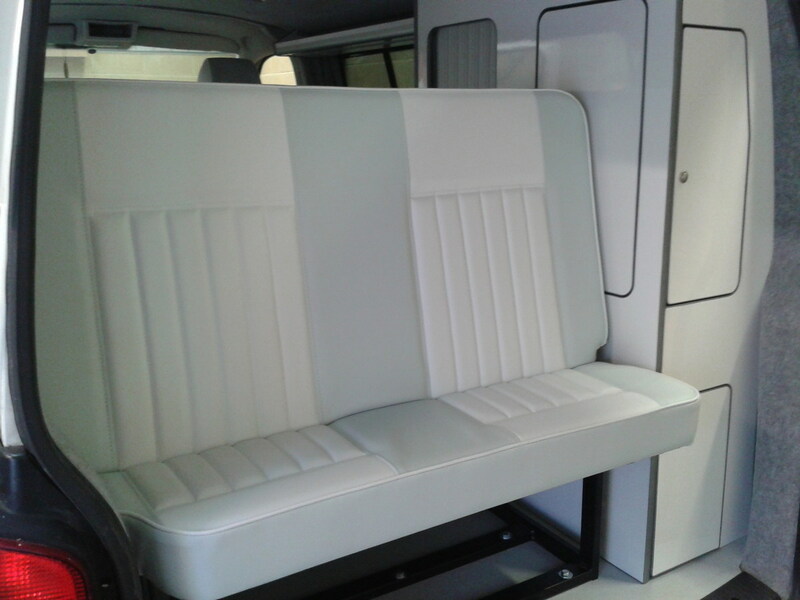 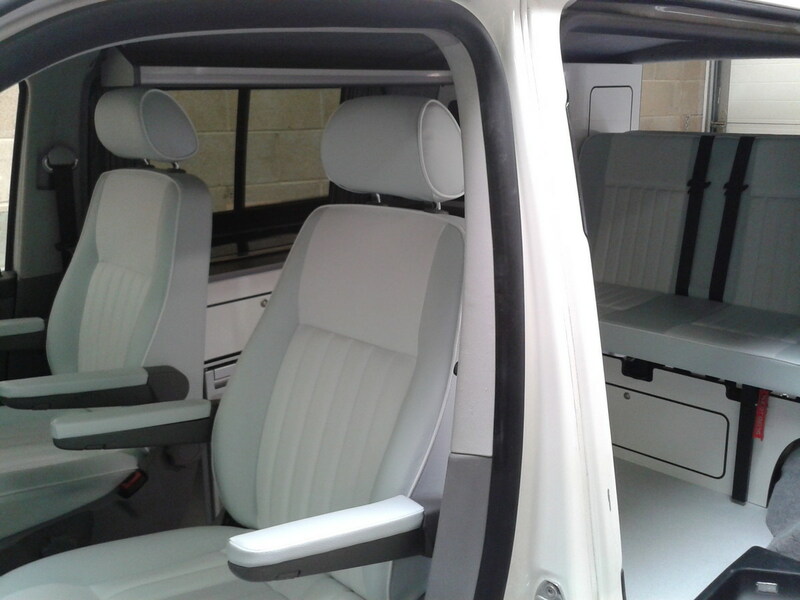 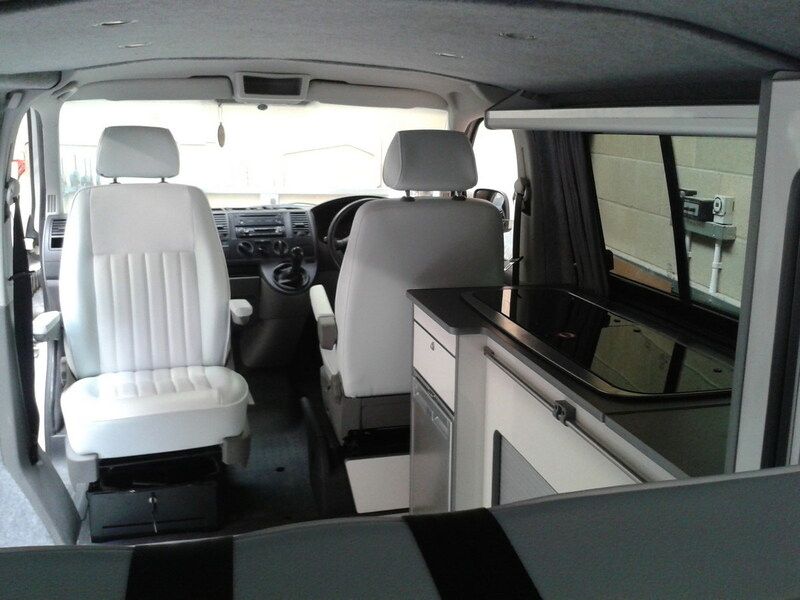 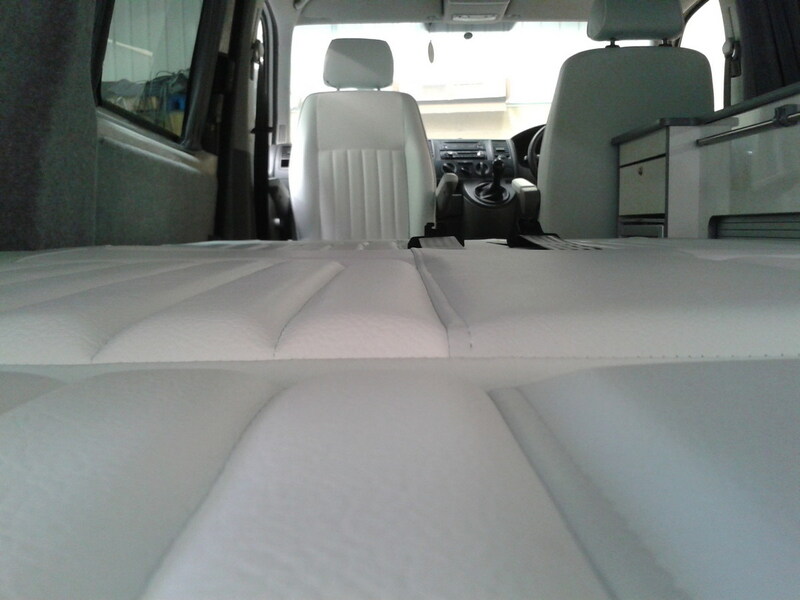 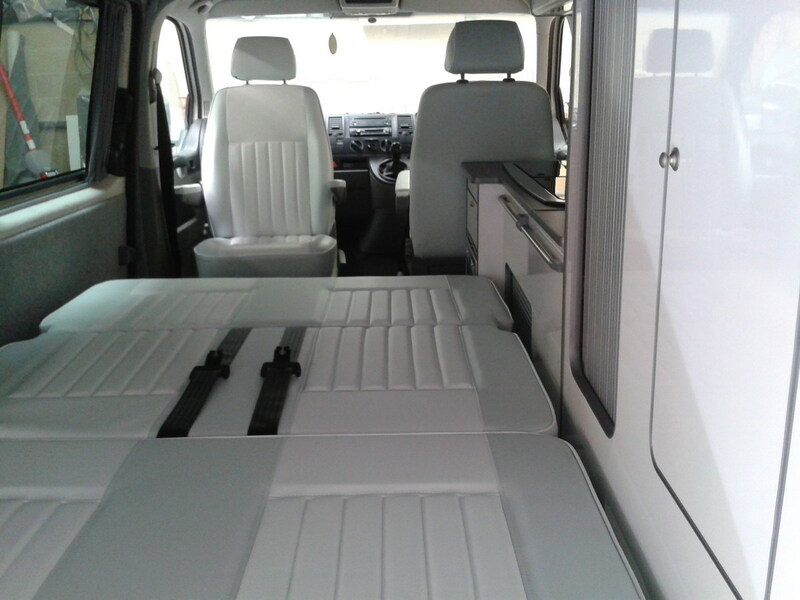 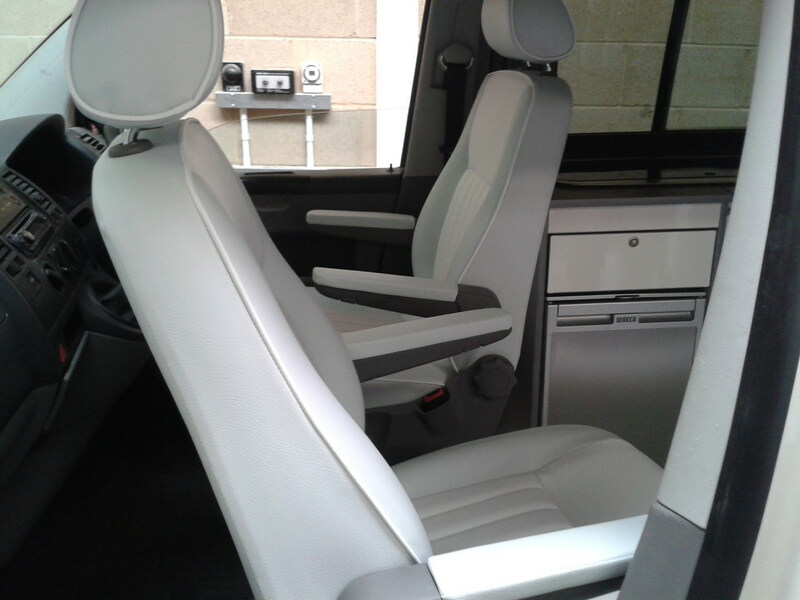 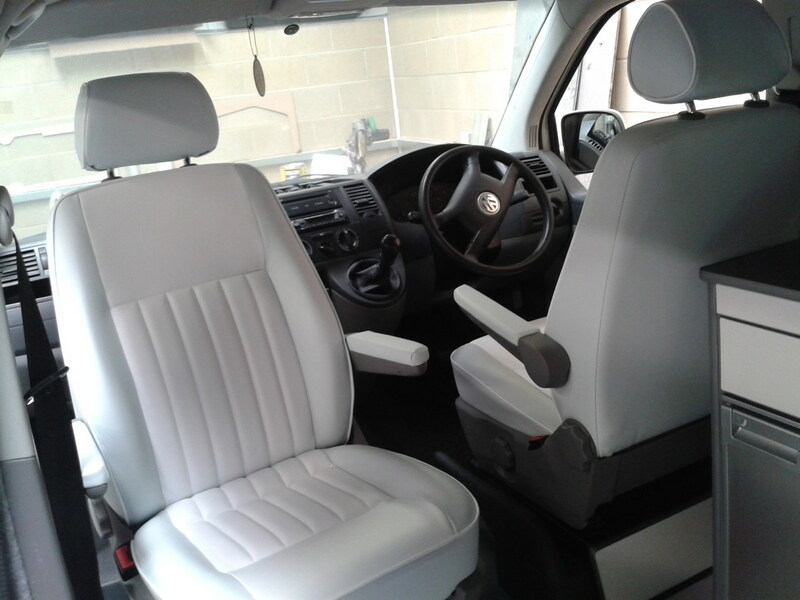 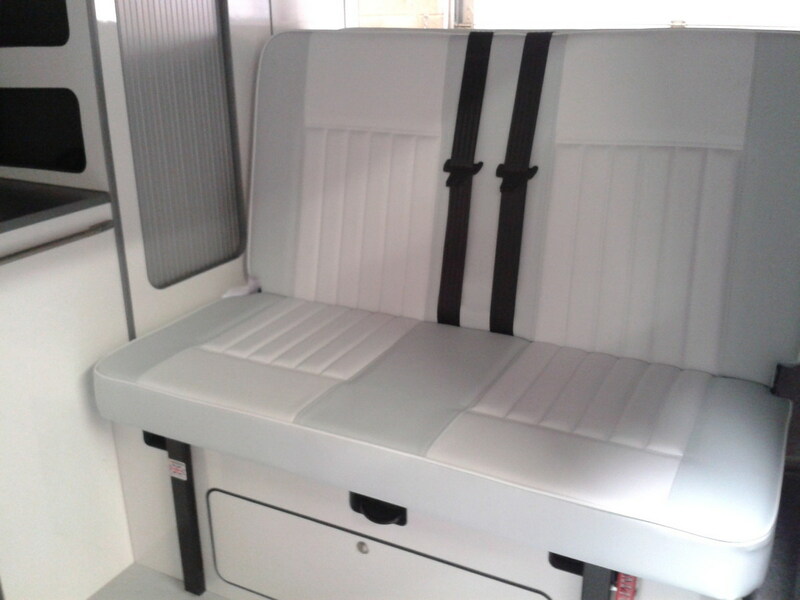 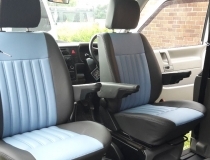 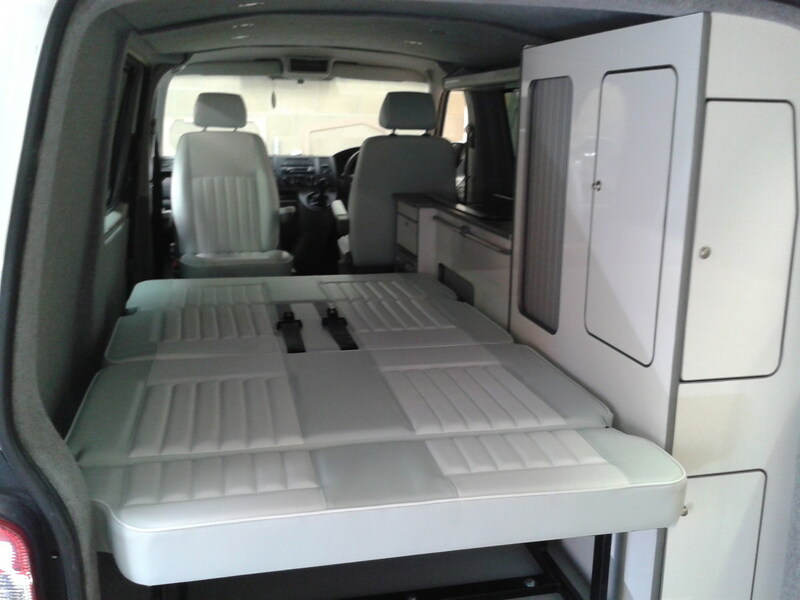 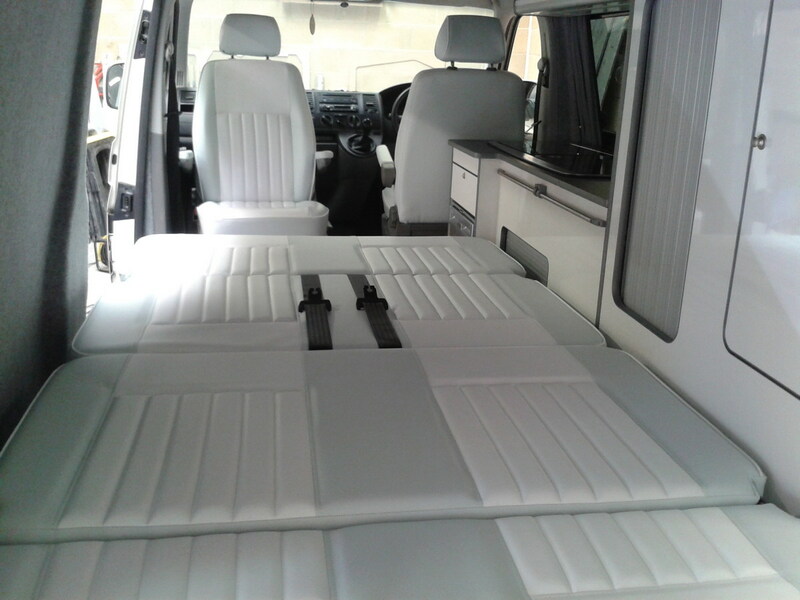 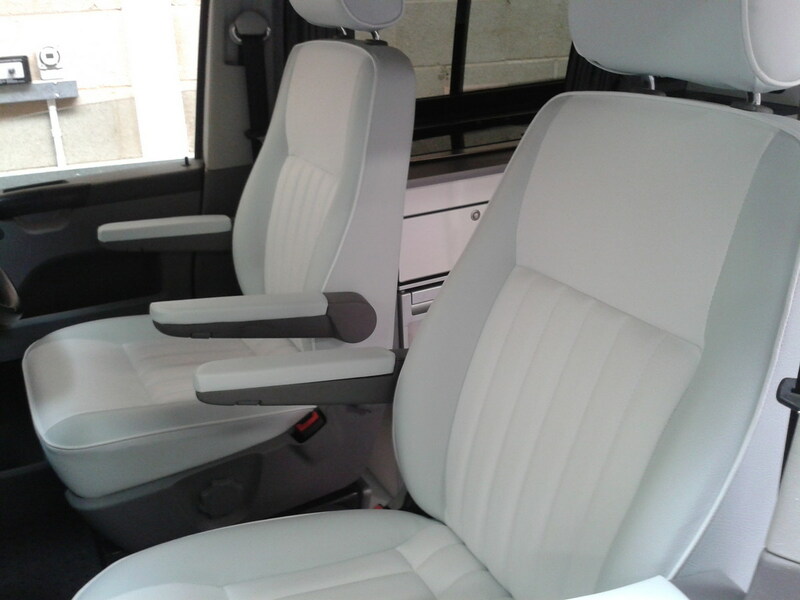 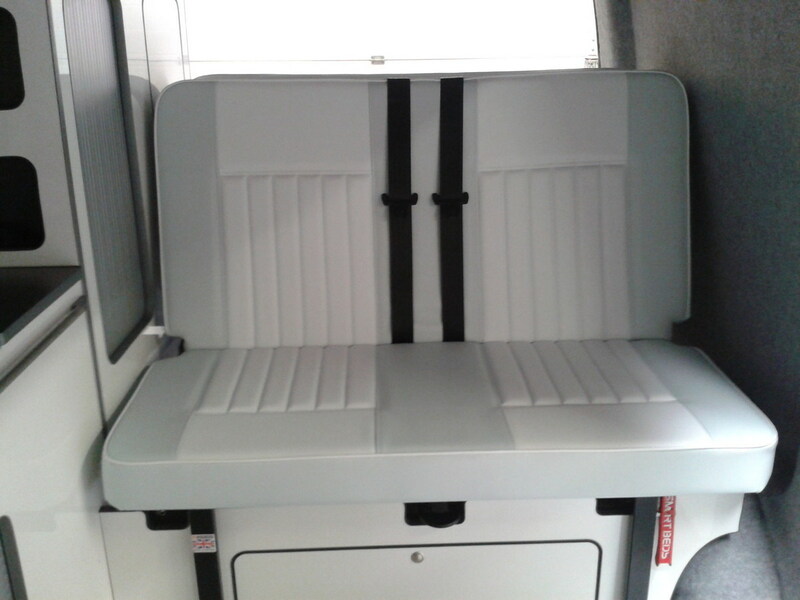 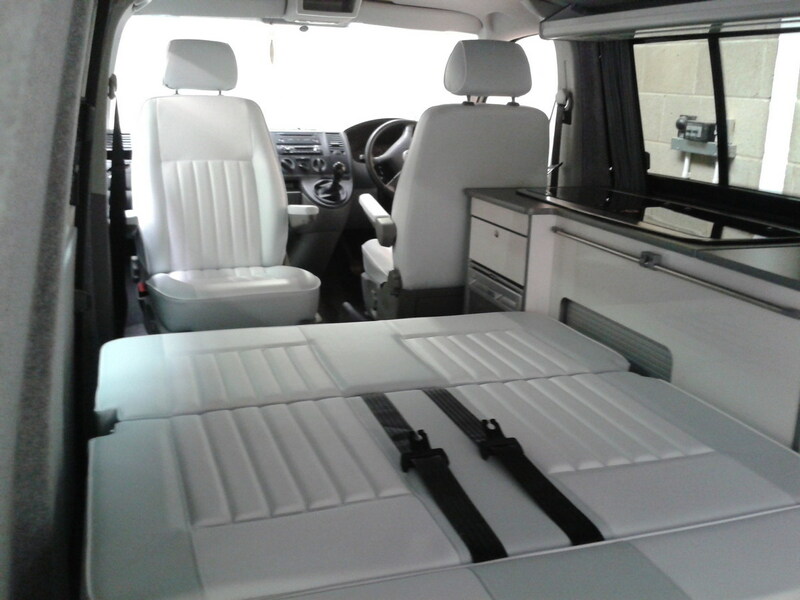 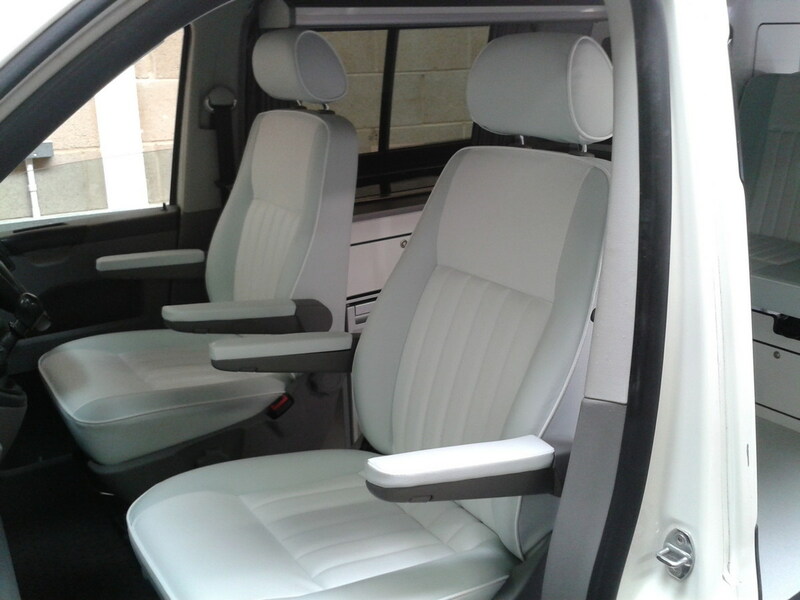 This Lovely T4 had the the seats recovered in a simple white and grey vinyl, the rear Smart Bed is also upholstered in the same material. 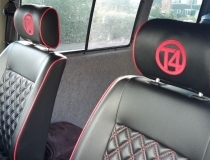 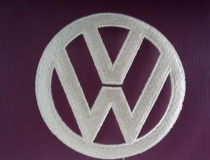 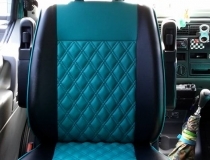 The centre panels of the seats have been stitched with vertical fluting. 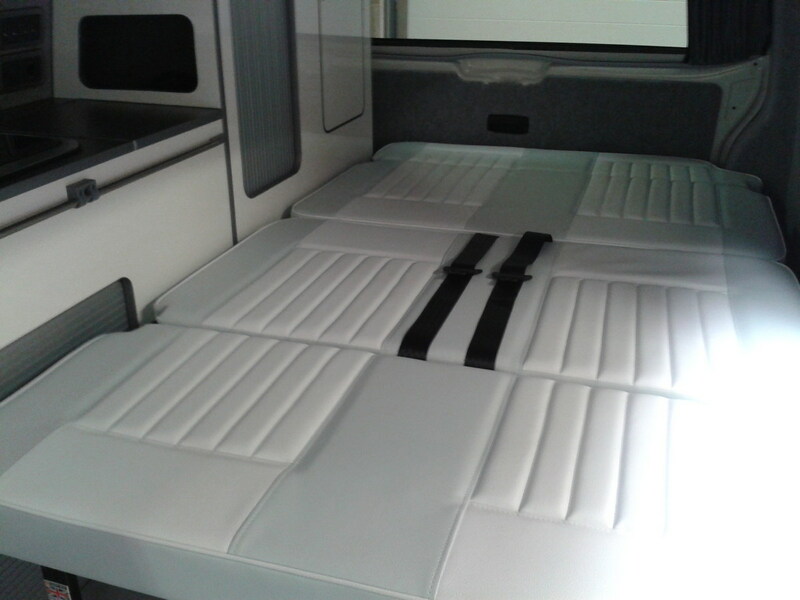 We think the subtlety of the the colours and design finish off this camper conversion nicely.